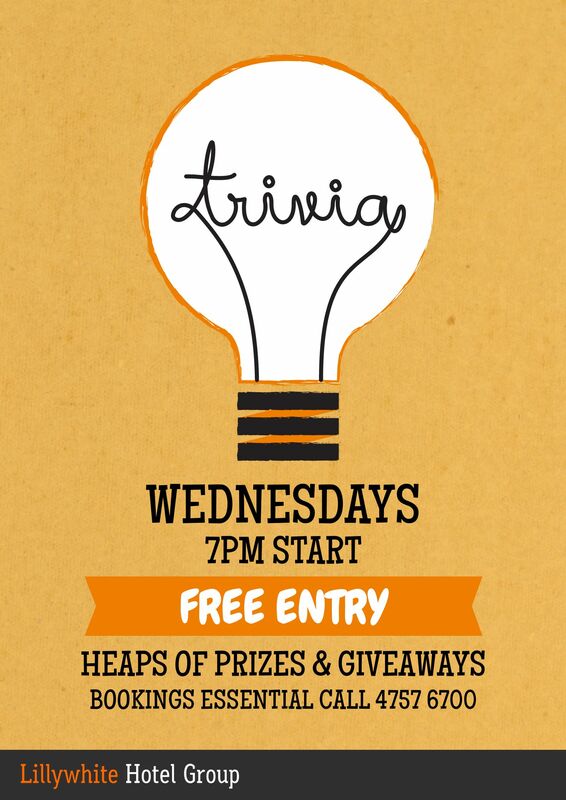 Every Wednesday from 7pm! 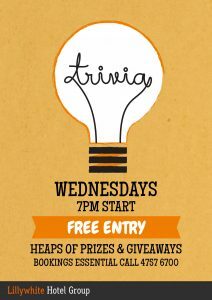 Heaps of sweet prizes and giveaways to be won. Enjoy the friendly warm atmosphere throughout Bushland Beach Tavern with the lounge area opening to spacious lawns and gardens surrounding the pool and lagoon with juke box entertainment, pool tables for a game with the mates and regular social events .